to stay on track with treatment plans. * Eligibility criteria apply. 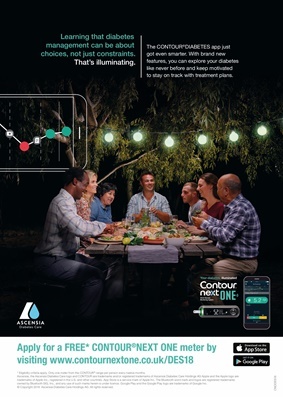 Only one meter from the CONTOUR® range per person every twelve months. owned by Bluetooth SIG, Inc., and any use of such marks herein is under licence. Google Play and the Google Play logo are trademarks of Google Inc.
© Copyright 2018 Ascensia Diabetes Care Holdings AG. All rights reserved.